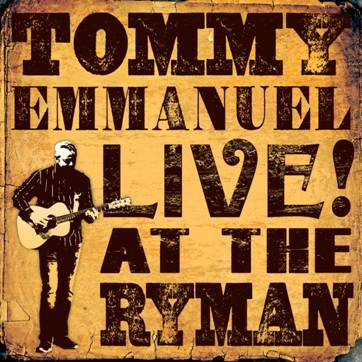 Tommy Emmanuel: I’m going to be playing a lot of stuff from the latest recording that I’m doing. There’s a lot of new songs in the show. I’m going to play a real mixture of old and new stuff. I think I’m going through a period where my playing’s really improving on a daily basis. The harder I work, the better I’m getting. So I’m on a mission, you know? [laughs] That’s always been the driving force in my life. 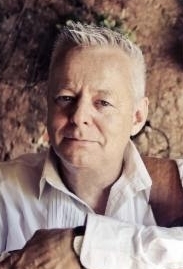 I’ll have Richard Smith with me, who’s one of my favorite guitar players. He’s doing the first set, and he’s always a guy who makes you really dig deep and raise your game. JM: Can we look forward to any drum solos on the guitar? TE: Yeah! I try to approach my drumming part of the show like a real drummer. I’m trying to create something totally different and unique. I don’t incorporate drums into songs, as in trying to keep it all going and play a song around it, because that looks too much like a science experiment to me. So I play songs, but then I concentrate and just play and create a drum solo that kind of has a form to it and has a structure. Every night is different. I mean, I don’t really have anything structured as far as a show goes. I go out and make my mind up what I want to play first, and then I just kind of fly it from there. I know how it works, and what’s going to work for the audience, and what songs I’ve chosen to have a go at tonight, basically. JM: I saw you in Santa Barbara about a year and a half ago. Do you remember anything about Santa Barbara, or is there anything you’re looking forward to doing while you’re here? TE: Well, Santa Barbara’s one of the most beautiful places in that area. If I could afford it I’d be living there! I don’t know how people afford it, but anyway [laughs]. I guess maybe I’m in the wrong business! I’m really looking forward to coming back to California, though. I’m going to be having my family on the road with me, too. My two elder daughters are going to be with me with their partners, so it’s going to be a full family on the road. JM: I enjoyed listening to your new Live! 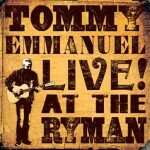 At The Ryman! album. What was that experience like for you, to play a solo show there? TE: Oh, it was mindblowing. I mean, I’ve been there so many times, but I’ve never done my own show there. It was a really special night. You know, I had to come out with all guns blazing – that’s what I needed to do. So that’s why the show opens with “Tall Fiddler”. It’s like I come out and really go for it at the start. The audience loved it – they went crazy [laughs]. The two hours just went so quickly. It just seemed like I got started and then it was over. If it feels that way, then it’s moving along in the right way for me. But I approach every night pretty much like that, anyway. I’ll be up on my toes in Santa Barbara – you can count on it. JM: I have no doubt [both laugh]. 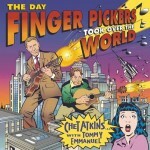 Of course, Chet Atkins had a lot of history at The Ryman, and he was a big influence on you. What was it like working with him, and what did you learn from him over the years? TE: It was interesting working with a guy who’s had that much experience. But actually we approach things very similarly. I think the only difference between us was that I was a lot more rock ‘n’ roll, and he was a lot more country. He was much more reserved, and I’m much more outgoing. But together onstage, it was a good chemistry. We’d come off from playing the show, and he would turn to me, and he’d say, “Oh, fooled ’em again.” [laughs] He was always saying, “Well, if I can get away with it tonight, I’ll have a chance at it tomorrow.” There was no ego involved. It was so sweet and so laid-back. And that’s what sets you free, you know? You don’t need to be carrying the weight of the world, thinking “I’ve got to be known as the greatest blah-blah-blah”. What satisfies me is doing a good job. If people are happy and we had a good crowd, and everybody had a good time, then I’m completely happy. 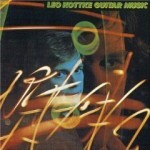 JM: Was Leo Kottke an influence on you, and what you do? TE: Oh, absolutely. I remember back in the ’70’s, Leo was the man to follow in those days. As I player I prefer Chet Atkins and Jerry Reed, but Leo’s style is so wonderful and so universal. And he was really the guy who showed us all the way, as far as touring the world playing as a solo acoustic player. I remember waiting to see him outside his hotel back in the ’70’s in Sydney, and this guy came out and opened the trunk of a white Rolls Royce and put these two guitars in there, and then the next thing Leo came out of the hotel, got in the backseat of the white Rolls Royce and took off, went to his show. And I said to myself, “That’s for me!” [laughs] I don’t how a solo acoustic guitar player is riding around in a Rolls Royce, but he’s doing something right, that’s for sure. I’ve never been a person who’s done something like that, but I just thought it was cool. When I finally got to meet Leo and play with him, he just seemed like the most level-headed, sweet guy, and a unique individual. And that’s what it takes – be yourself and be unique. JM: It seems there’s the danger that since you play so well technically, you might just have fellow guitar players listening to you. Do you have a strategy for having a broader appeal? TE: My strategy is that I’m trying to write the best songs that I can. I’m not trying to impress musicians. I’m trying to win the public. I’m trying to give the public something real, and I’m trying to take them somewhere out of their ordinary lives, and take them to another place during the time that they’re in the hall with me. And I’ll use whatever I can to entertain them, to distract them, to give them a good time. That’s my goal. My goal is to entertain people and make them feel great. JM: Are there any new genres that you plan to explore, or there any that you’re actively avoiding? TE: Well, I don’t listen to music that doesn’t move me, you know? There are certain genres of music like rap or electronic music or that kind of thing that doesn’t touch my soul. I’m not saying it’s bad, I’m just saying it doesn’t move me. I don’t listen to it. I listen to music that moves me, and that’s what I’m interested in. So, music to me has to be a soul experience. Otherwise it’s just noise. JM: I also want to ask you about your rock ‘n’ roll past. 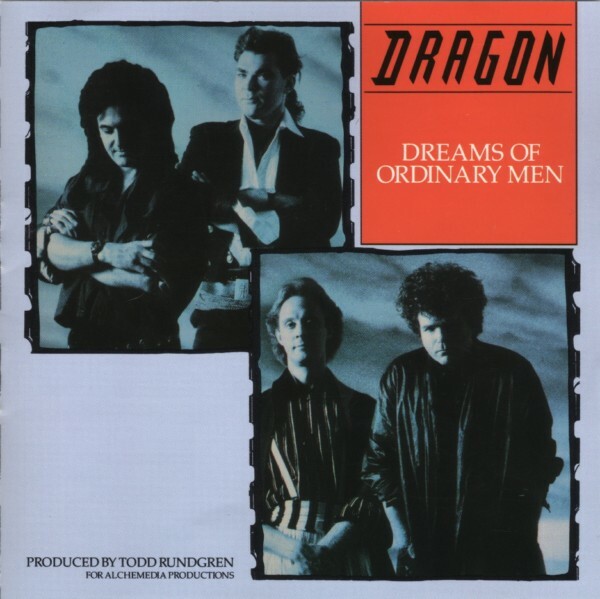 Something that jumped out at me is that you part of the Dragon album Dreams of Ordinary Men, which was produced by Todd Rundgren. What was that experience like? TE: Oh, incredible. Todd Rundgren’s an amazing guy. 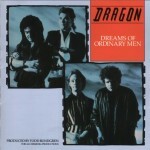 Dragon was a great band – good friends but a really great band. We toured together for years. I mean, I was in that band for a number of years, and I loved all the songs. I just wish I had been a bit more mature as a person at that time. But I was living and learning. You know, I lived life in the fast lane. I learned a lot along the way, and I think when I left the band and went off and went solo, I think it was a good thing because I had to eventually find my real purpose at the end of the tunnel I was in. It’s good – where I am now is a really wonderful place. 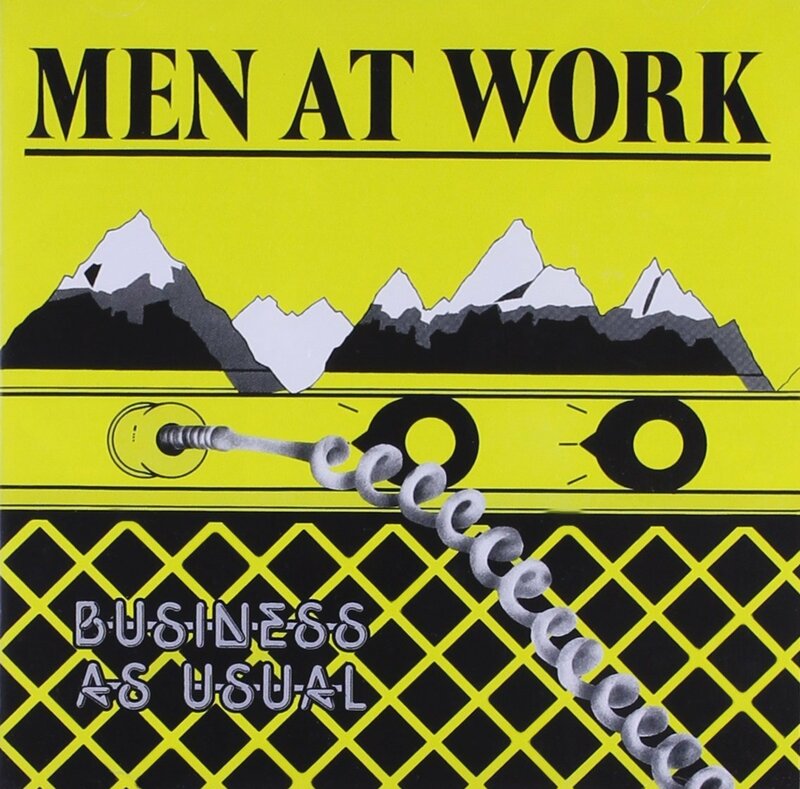 JM: I read that you had done some work with Men At Work, but I couldn’t find any specifics. TE: I didn’t play on their records playing guitar. I actually played some drums on a track. I fixed up a drum part, because I’m a drummer. 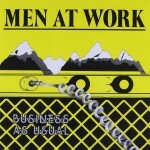 The producer of Men At Work, a guy named Peter McIan, he heard me playing drums one day, and he said, “Holy Moley, you’ve got a really good groove.” He said, “I’ve got this track that I’m working on. Can you come in and fix this up?” Because the drums were a little all over the place. So I did. The drummer’s name was Jerry [Speiser], and I came in and played his kit, and just kind of got the groove together. JM: I had the pleasure of interviewing Colin Hay a few years ago, and he was a lot of fun to talk to. TE: He’s a great guy. Colin and I want to work together. I saw him just recently at a show in Florida. He was on the night after me, so we stayed around an extra night and left after his show so we could all hook up and see him. He’s wonderful, he really is. TE: I think the best advice is, first of all, get some good songs, and play them with all your heart. But you’ve got to have a good song. You’ve got to know what a good song is. And remember why you wanted to play music in the first place – it’s because you love it. If you remember that stuff, that’s half the battle. So many people think it’s just about “We’ve got to get famous, we’ve got to get rich.” It’s not about that at all. It’s about you doing what you’re born to do, and you show up and do your best. TE: I’m in the middle of recording an album, a duet album. Actually it’s almost done. I’ve got one more track to do this week. That’ll come out next year. It’s duets with other artists – some with vocals, some instrumentals. Some of the other artists are Ricky Scaggs, Rodney Crowell, Mark Knopfler, Amanda Shires, Alison Krauss, JD Simo, Jerry Douglas, David Grisman. It’s all really people that I love and respect. It’s been a joy to make this album. It’s really going to be a landmark album in my life.